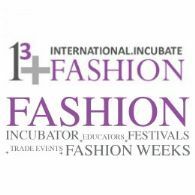 Perth, Sep 2, 2011 (Global Fashion Wire) - The foremost experts from around the globe in running fashion trade events, fashion incubators and other fashion business specialists will gather in Perth in 10 days for the The Third International Conference of Fashion Incubators. Anita will be presening the Promostyl: Autumn/Winter 2012/13 Trend Forecast focused on the desire for EXPLORATION in the development of our 4 themes: STUDIO, DIMENSION, FANTASIA & LAND. This presentation and the books are the same presented at the Premier Vision in Paris and will be on display at the Conference of Fashion Incubators on Monday 12 September. Janelle will be presenting Megatrends kicks off for spring/summer 2013 season, giving a taste of what's to come in terms of major fashion themes and color trends for all markets. This exclusive presentation, on Tuesday 13 September, will also highlight the overarching theme for spring/summer 2013 and all the influencers that will inspire the complete design journey. - Other Speakers are coming from Vietnam, Afghanistan, Philippines, Cambodia, Nigeria, and South Africa. To attend the conference, for a conference program, to organise photos or to interview speakers, please contact Carol Wallbank as per details below. The Third International Conference of Fashion Incubators is being hosted by community organisations Textile Clothing Footwear Resource Centre of WA (TCFWA), designedge Fashion Incubator, TCF Global and the Belmont BEC.